Discover the latest news from reliable global sources, tailored to asbestos related diseases. Get information about support and assistance for mesothelioma victims and their families through several non-profit groups throughout Canada. Founded in 2008, the Canadian Mesothelioma Foundation (CMF) is a registered charity dedicated to raise awareness and understanding about mesothelioma in Canada. The aim of the CMF is to both initiate and foster a support network for patients with mesothelioma and their families, and to support the development of a community of health professionals in the field of mesothelioma diagnosis, treatment and care across Canada. CanSAV is committed to providing community outreach education programs that includes professional services, government agencies and impacted families. The intention is to create positive change and better serve Canadians living with these diseases. Read below some interesting articles and latest news related to Asbestos exposure and Mesothelioma disease. The Canadian government is moving to ban the use of asbestos by 2018, Science Minister Kirsty Duncan announced on 15 December 2016.. The ban on asbestos, which the World Health Organization declared a “human carcinogen” in 1987, will apply to the manufacture of any products containing the substance, as well as on imports and exports. Recently updated figures from Statistics Canada show that in 2012, there were 560 new cases of mesothelioma, up from 276 cases recorded in 1992. Between 2000 and 2012, the most recent year for which statistics are available, deaths from the asbestos-related malignancy jumped 60 per cent — to 467 from 292. 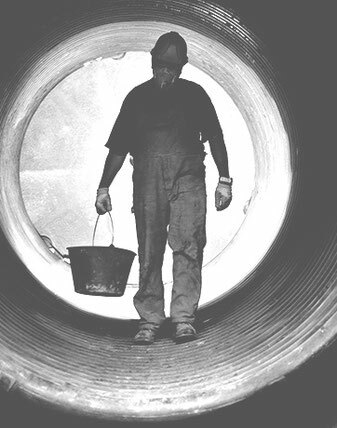 In 2012, Quebec recorded 180 new cases of mesothelioma, StatsCan figures show. Twenty years earlier, there were 90 cases, with increases in the numbers each year. Ontario recorded 175 new cases in 2012, up from 85 in 1992, while in B.C. the number of new mesothelioma cases in 2012 was 85, rising from 40 two decades ago. Journalist Tavia Grant has published an article in The Globe and Mail that confirms that asbestos is the leading cause of death in the workplace in Canada. Ms Grant states that "The 368 death claims last year alone represent a higher number than fatalities from highway accidents, fires and chemical exposures combined. Since 1996, almost 5,000 approved death claims stem from asbestos exposure, making it by far the top source of workplace death in Canada." A new study from scientists in Germany is the first to track the presence of asbestos fibers in lung tissue over time. Using the German Mesothelioma Register, researchers at Ruhr-University Bochum discovered the volume of asbestos fibers in tissue does not decrease over time, regardless of the type of asbestos involved. The study found that the concentration of chrysotile (white asbestos) remained stable over time, despite some previous studies suggesting it may be easier for the body to rid itself of that particular type of the naturally occurring mineral. 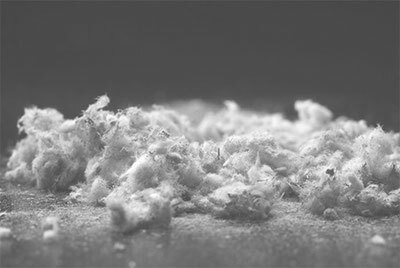 Health Canada has updated its online information to concede that chrysotile - the type of white asbestos mined in Canada for decades – is dangerous to health. For many years the Canadian Government argued that white asbestos posed a minimal danger (or no danger) to health. This position was supported by the "Chrysotile Institute" - a government funded organisation whose aim was to keep the asbestos mines open by promoting spurious information about the lack of danger that chrysotile presented. This has all changed now in the face of overwhelming independent studies that show that chrysotile can cause a variety of asbestos illnesses. May 2015: The Saskatchewan government has launched a new website that shows which public buildings in the province contain asbestos. The new online asbestos registry will allow users to search the database to see which public buildings contain asbestos, where they are located and the type of asbestos present in the buildings. Owners of public buildings can log into the database and update information on any buildings that contain asbestos. Saskatchewan is currently the only Canadian province with a web-based asbestos registry for public buildings. Journalist Tavia Grant published a detailed article on the issues facing Canadians from the asbestos industry, and its human toll, in the Globe and Mail in June 2014. The number of mesothelioma deaths continues to rise in the United Kingdom, with the peak now predicted by the British Lung Foundation to be reached in 2020. Australian researchers are cautiously optimistic after using nanocells to achieve what could be one of the most significant breakthroughs in asbestos-related cancer treatment in a decade. 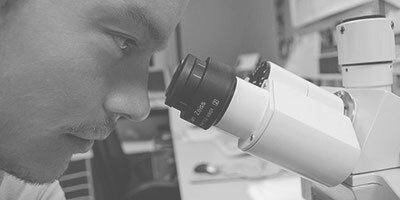 Scientists from the Chris O'Brien Lifehouse Centre have published a case report of a patient whose mesothelioma has almost entirely disappeared. Toronto: Results of clinical research that treated mesothelioma with radiation before surgery show the three-year survival rate more than doubled for study participants afflicted with this deadly disease, compared to treating with surgery first. The findings, published in the Journal of Thoracic Oncology, provide a viable route to treat patients more effectively and also improve their quality of life and potential survival, says principal investigator and lead author Dr. John Cho, radiation oncologist at Princess Margaret Cancer Centre, University Health Network (UHN). "The patients in our study experienced shorter treatment, fewer complications and speedier recovery," says Dr. Cho. "The three-year survival rate more than doubled to 72% from 32%." We aim to provide quality news and work together with several non-profit groups that provide support and assistance to mesothelioma victims and their families. We are available to answer any questions that come our way about entitlements to compensation or medical treatment options.